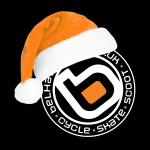 Keep it local this Christmas – Offers from Belhaven Bikes! Complete our Survey and WIN a ‘Gift Card’! Belhaven Bikes Sponsors Local Lad Lewis!